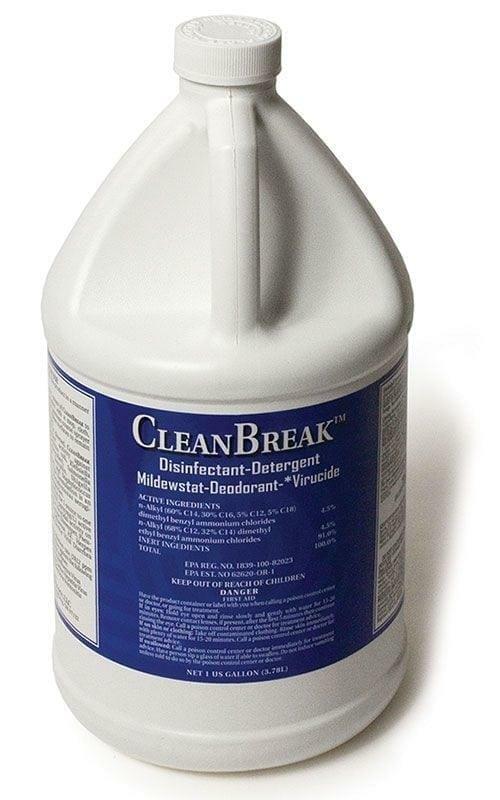 CleanBreak Multi-Purpose Disinfectant is designed for the toughest disinfecting challenges involving animal facilities, on both porous and non-porous surfaces. Not only does it disinfect, but acts as a detergent, mildew-stat, deodorant, antibacterial and virucide! Its concentrated formula makes for a very economical product. Everyone appreciates a clean and healthy environment when at the gym, store, restaurant, hotel, work, etc. CleanBreak Technology has created a complete yet simple and economical system of products to make it easy to keep your facilities clean and disinfected. With the aid of a chemist we developed a Neutral pH Cleaner and Degreaser that is mild to the touch, easy on surfaces, but tough on cleaning. This cleaner and degreaser is a great solution for day care centers, office spaces, restaurants, hospitals, gyms and other facilities. Available in a system, composed by CleanBreak’s Multi-Purpose Disinfectant; Rubber Flooring and Mat Sealant and our Neutral pH Cleaner and Degreaser. Ideal for large and small animal facilities.